To celebrate the arrival of the new Mactan stone beads, I decided to give away a $75 gift certificate to the shop! Thank you to everyone who participated in the giveaway and shared the love about Beads & Honey! It was truly inspirational for me to see how you are enjoying Beads & Honey through your shares, tweets, and pins! I wish I could share the grand prize with everyone, but alas, a single winner must be chosen. The winner was drawn on February 19 via a third party draw at Random.org. And the winner is… Lyn Ryse! Lyn is an awesome Beads & Honey fan! She recently shared with me some of her beautiful wrap bracelets created with blue impression stone and sodalite gemstone beads from Beads & Honey. Look for more of her designs coming to you soon in her new Etsy shop that will be called Lyn Ryse Designs. Thank you for helping to make this giveaway such a success! Stay on the look out for opportunities to participate in future giveaways! 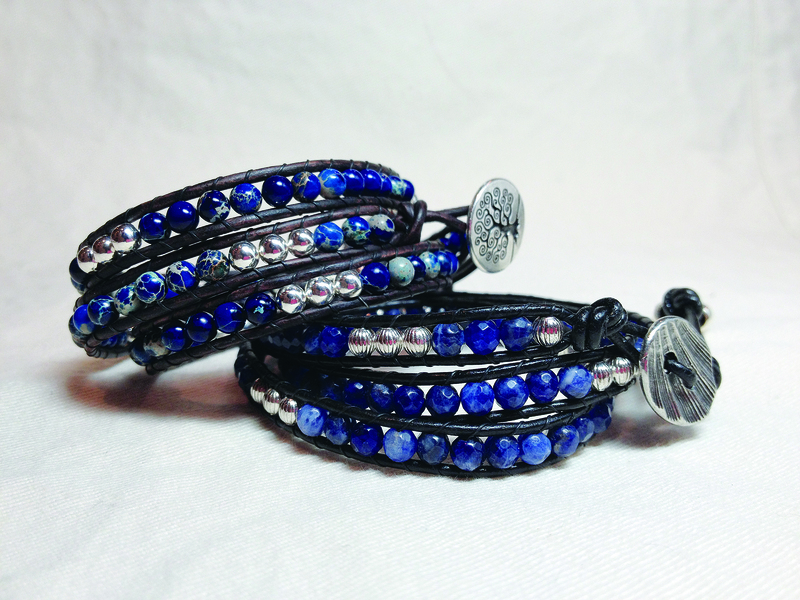 Photo credit: Gemstone Bead Wrap Bracelets by Lyn Ryse Designs. This image is protected under the copyright of the original artist with all rights reserved. It is reproduced here with the permission of the artist. Previous Share the Love Giveaway! Next 10 Things You Will Love About BeadsAndHoney.com!